TSC Training Academy (TSCTA) can provide student transcripts upon request. All students requesting a student transcript must fill out the “Student Transcript Form” available on our website and submit it to TSCTA via email, fax or in person. Be current or your transcript will be WITHHELD. Allow SEVEN working days for processing. Requests will be honored as quickly as possible in the order of receipt. During peak periods there will be some delay in excess of 7 days but not to exceed 14 days. Transcripts requests cannot be honored for classes completed prior to 2008. All your work at TSC Training Academy is considered one transcript. There is no fee for transcript unless requesting SAME DAY SERVICE which is $10.00 fee payable by cash or charge only. Please contact TSC Training Academy at 718-389-2103 to request a transcript for same day service. To download the student transcript request form in English and Spanish, click below. TSC Training Academy (TSCTA) can re-issue a course completion certificate, CEU certificate, OSHA card, scaffold card, or other training cards at your request. In order to reissue a duplicate course completion certificate or card, your attendance and successful completion of our training program must first be verified. A photo I.D MUST be provided at the time the completion certificate or card is released. If you would like to request a duplicate course completion certificate or card, simply fill out the duplicate request form and submit it to our office via fax, email, or in person. Full payment must be received in order to process your duplicate request. To download the duplicate request form in English or Spanish, click below. Want to purchase additional copies of the manual used in your safety training course for yourself or your staff? 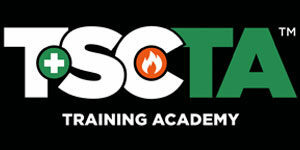 TSCTA has available for sale a limited selection of resources used in their safety training courses. Identify how many books you need, how you want us to get it to you and submit to TSCTA by fax or email.